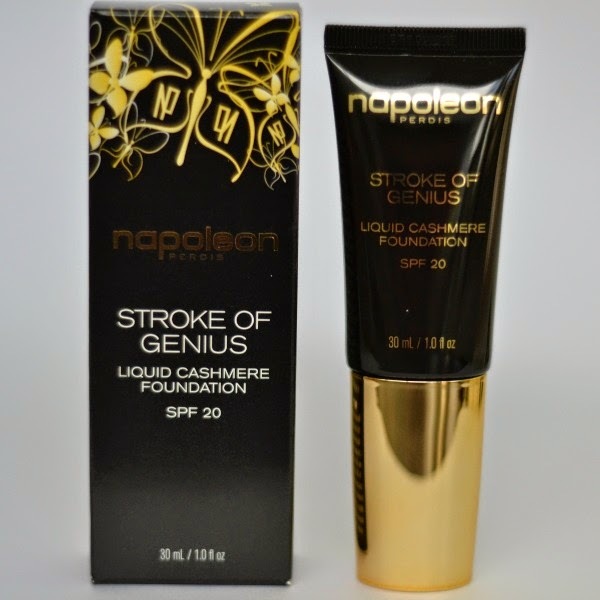 Bottled Beauty: Reviewed: Napoleon Perdis "Stroke Of Genius Liquid Cashmere Foundation SPF 20"
Reviewed: Napoleon Perdis "Stroke Of Genius Liquid Cashmere Foundation SPF 20"
Napoleon Perdis was the first high end foundation that I ever bought ("China Doll" was my first NP foundation), so I've always had a soft spot for them. They recently released a new foundation called "Stroke Of Genius Liquid Cashmere Foundation" and I was excited to be sent one in "Look 1." The foundation packaging is gorgeous. The black with gold looks classic and lovely. But once you open the lid, it's not like your usual foundation. It comes with a built in foundation brush. 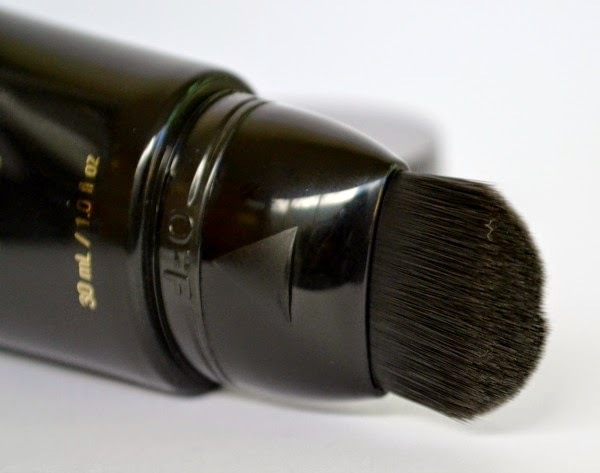 I'm a big make up brush lover and have quite high standards so I was really impressed with just how soft the brush felt. 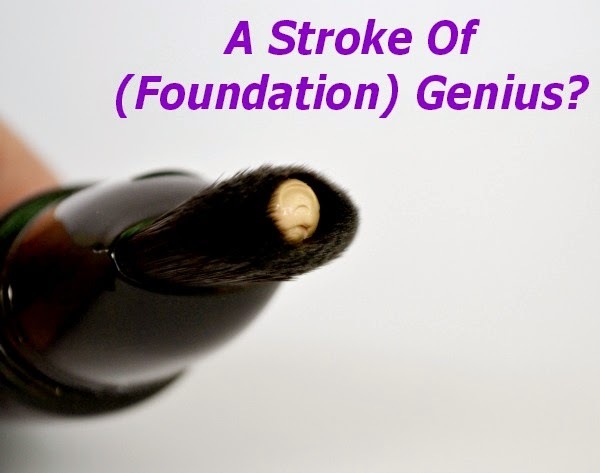 To keep the foundation from spilling, you can twist the part under the in built brush to be "on" or "off." Having this makes it great for travelling as you're not having to worry about lids falling off or make up spilling out. The foundation is quite thick. It's a medium coverage foundation that's buildable. I've layered and had more coverage where I need it and it doesn't feel heavy. Because I'm a bit of a crazy person about germs, I've skipped using the built in brush (it also makes it look a lot cleaner). Instead I squeeze out a little bit and use another brush to apply it. 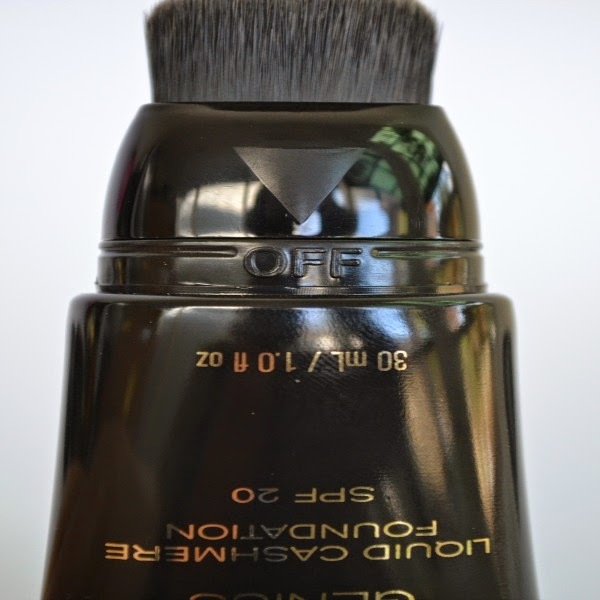 The first time I applied this, I used a buffing brush... which was a HUGE mistake. This isn't a foundation that you want to buff in. I found that it was looking cakey and wearing patchy, so on my lunch break I went into a Napoleon store to get some advice from the staff there. The girl there was lovely and removed my make up and went through how she applied it. Instead of using a buffing brush or circular movements, she pats it on the skin. It takes a bit longer, but the finish was amazing. Since using this method I've had no issues at all. I get a gorgeous finish and it lasts all day. I use a flat paddle foundation brush to apply it. 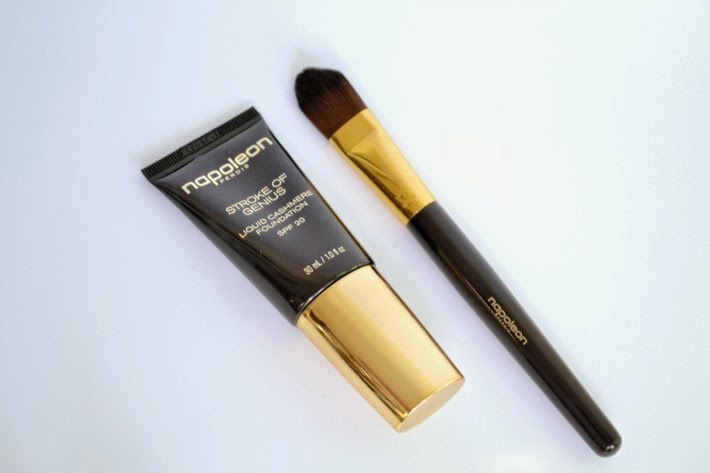 I either use my Napoleon foundation brush (this one came in one of their Christmas brush packs a few years ago) or my Furless flat foundation brush. When I went instore she used this one on me. I've really loved using this. It's a higher coverage foundation than what I've currently been using (perfect for concealing my annoying pigmentation) and turns into a powder finish. It reminds me quite a lot of China Doll... which is why I love it! I've used it with and without powder and have found it works the same. 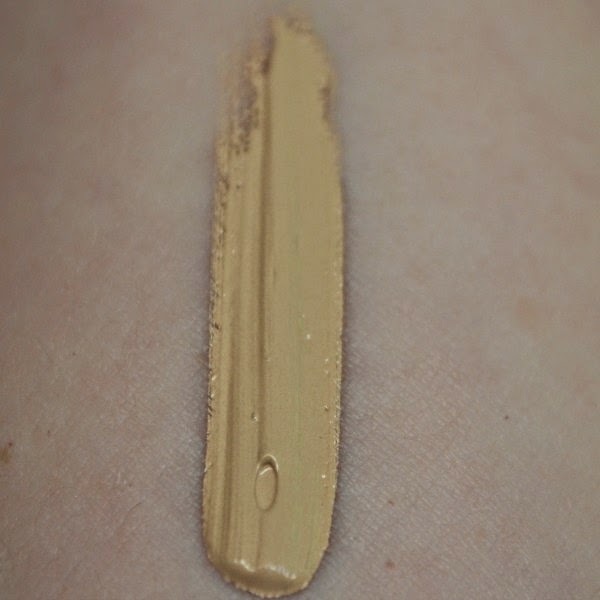 It has a matte effect, so it's perfect for winter or for those that date dewy skin. I use this more for work and stick with a BB cream when I'm just running errands on my days off. I like that this has SPF20. I always use sunscreen, but it's nice to have the extra protection. This retails for $60 for 30ml. Because it's a thicker consistency, I've found I don't need to use much so it will last for a few months. There are 5 shades available. David Jones has a GWP currently (until June 22nd) where you get a 7 piece set when you spend $79 or more. See here for details. What was your first high end foundation? But I've been to their workshop before and it was fantastic!! I learnt so much. I love this foundation! I use it on the girls for dancing makeup and makes their skin look beautiful! I use the technique that you mentioned, the patting way does make it melt into the skin nicer. Funny that some foundations apply differently. I also don't like the add-on brush, it's not very hygienic.